I am slowly coming to terms with the fact that my summer is indeed over. The kids are back at school (or homeschool) and LMCA starts this week. Soccer is back on, Girl Scouts starts soon, SVC started back, and even the weather is starting to feel less like summer and more like Indian Summer. Savannah was hot, very hot, but we still enjoyed walking around. It's such a neat city! And we did find a splash pad to cool off in! Cooling off at Isaac's Godparent's house was another fun treat! We took our annual trip to Lake Edinboro. We told the kids this would be the last summer to do the trip, but truthfully, it is such a wonderful time we'll be going back next year. The weather wasn't fantastic, but the lake and friends were perfect nonetheless. We enjoyed a wonderful visit from Grammy and Grandpa Bob. A new member of the family joined us this summer! 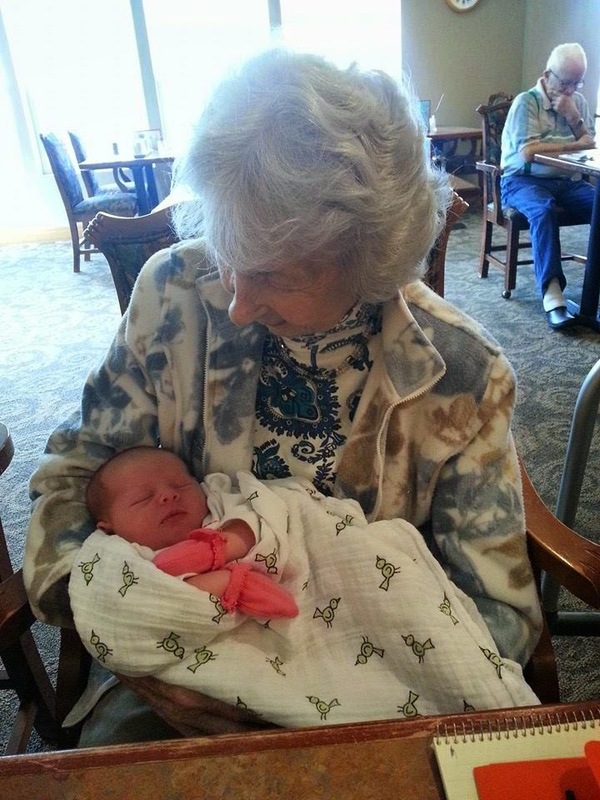 I became a great-aunt again and my kids gained another second-cousin! Although I haven't met her yet, she is just as beautiful as can be! The oldest and the youngest members of my family together. June 2014. It was one of those summers that was truly unique and so much fun. It has made the transition back to regular life that much harder. The nice thing is that summer comes every year! Four Seasons in the House!